A photolog of the past year. Since my last posting, my wife and I have had a son (a brilliant yet mischievous young man) and I've been given a promotion by my employer. Both of these factors have inhibited my ability to update with any frequency, but (Strangely) not hampered my productivity in the lab. What follows is a (roughly) Chronological photolog of my recent shows and the products I've had to offer. An Expanded Catalog, After An Extended Voyage. The first new addition to our inventory were these fashionable hair clips. Having been inspired by one worn by Miss Clements, I crafted these delightful ornaments from feathers collected from specimens in Risen Lemuria and from gemstones and other items found in previous travels. After this year's Hero Bot Con, we are presently out of stock, but custom orders are encouraged at the cost of $10. It is my firm belief that any adventurer who is worth anything at all should maintain a proper system of defense against supernatural threats. I myself carry a Dragon's Tooth, a piece of Medic's Quartz, the Vitruvian Medal, and many others. Each serving as a ward or weapon against Those That Should Not Be Named. As such, I have begun to collect charms and wards that I offer to the public. 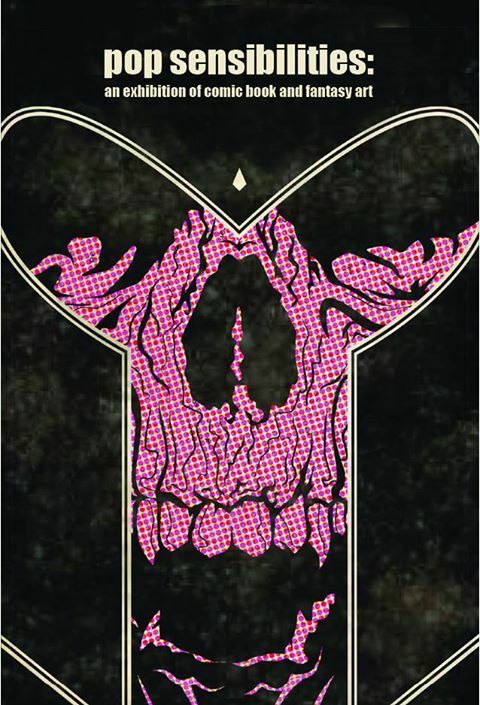 At the top of the image we have two vials containing the fangs of Strigoi viu, a sorcerous breed of Romanian vampire. These were removed after the beasts were slain, but retain a warding ability. As long as they are carried, no vampire may tell you falsehoods. These vials were bought up quickly by savvy adventurers at Hero Bot Con. The white vials contain blessed salt from Lake Pandyan in Risen Lemuria. It is said to be a ward against evil spirits. The remaining pair is available as earrings or charms at the cost of $5. The red vials contain the the timing cogs of two mechanically-enhanced assassins that we fought in Taipei. These curious devices must remain in the red Autono-Gel to remain functional, but what a function they provide! As long as they are on your person they render you impervious to the detection of other mechanically-enhanced beings! especially useful for ducking Tuned Assassins. As with the previous vials, they are available as either earrings or charms for the price of $5. The earrings were another venture inspired by Miss Clements. The pair in the top of the image were created from the tusks of a miniature mechanical elephant crafted for the Sultan of ancient Undinia, and uncovered by an archeological expedition. The gems are Ryunite Crystral recovered from the wreck of the HMA Balfour, high atop Mount Silencio in the Kansas Territory. These earrings carry an aura of refinement, as well as protection from yetis. Available for purchase at the price of $10.00. The final pair of earrings, pictured at the bottom of the image are Promethean Bolts. Taken from fallen Promethean, an artificial being, the bolts carry with them a spark of life. Rumor has it that if worn as earrings, these trinkets may actually restore one to the world of the living, should they meet their death during an adventure. Available for purchase at the price of $10.00. This is only the beginning of our chronicled finds and creations. More to come my friends, as soon as we are able! Months ago, a telegraph arrives on my desk from the Prince of Risen Lemuria. Apparently my old friend had suffered a plague of Strigoi in his kingdom and sought our expertise. I, along with Dame Charlotte and Woodrow Radcliffe, boarded the airship and embarked on an adventure. The Strigoi were no easy feat to clear out, but happily the encounter ended with us still amongst the living, and the undead, well and truly dead. It was during the reception in our honor that Dame Charlotte absconded with my airship. Apparently our wealthy English lass was wanted by some notorious criminals who sought to reclaim said wealth. This left Woodrow and I in quite a situation. The Lemurians are a very independent people and fiercely proud of their ways. Assimilation into the world of steam-power and electricity has advanced at a crawl, which left my friend and I searching for a way to pursue our former colleague. We eventually secured passage aboard a tramp steamer bound for Taipei. Our time in Taiwan was marked by a spirited pursuit through the Keelung Wharf and a brief firefight with a duo of mechanically-enhanced assassins, sent to retrieve Dame Charlotte. Their enhancements were advanced, so - as you would do with a Strigoi - I removed the dangerous bits whilst they were incapacitated. Rather than explain any of that to the local constabulary, Woodrow and I hitched a lift with an airship merchant caravan out of Cairo. We caught up with Dame Charlotte at the Johnston Atoll. With the aide of the journalist, Samantha Clements, we relieved Dame Charlotte of her pursuers, and parted ways. Leaving her to find her own way off the island. But as a door closes, a window opens, and Miss Clements has agreed to lend her skill with words and artistic talents to our work. At the moment Woodrow, Samantha, and I are working tirelessly to catalog all of the wondrous items that we have collected over these past months. I encourage you to come view our selection at Hero Bot Con, this coming Saturday - September 21st - at the Wings of Eagles Discovery Center in Horseheads, NY. More detailed posts will follow, but for now please enjoy a picture of our inventory thus far. An Apology, an Explanation, and a List. I do regret my long absence from these webs of the world. I happily confess that I've been hard at work scavenging, salvaging, experimenting, and assembling in preparation for the month of September. The significance of September you ask? Allow me to elucidate. 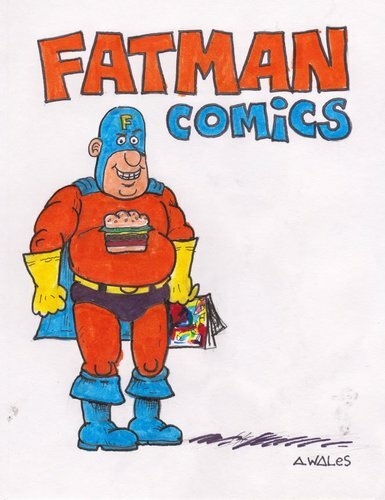 On September the 7th, my dear friends at Fatman Comics and Games celebrate their 1 year anniversary! Stalwart chaps that they are, they've asked the Armory, as well as many other talented local artisans, to join them and display our wares for the enjoyment of all. Detail about the event can be found here; on their website. The next event is a first for the Armory. My friends at Community Arts of Elmira have invited us to display a piece in their Pop Sensibilities art show! One of my finest pieces will be on display for the show, which will run throughout September. The show opens on the 12th of September. The last event in September is HERO BOT CON! This year we find ourselves at the Wings of Eagles Discovery Center (Located off I-81, take exit 50). The event is even bigger this year boasting a veritable cornucopia of amazing talent, and all of it set amongst historic warplanes!! Tickets are available now and can be purchased on the Official Hero Bot Con website. Now many of you may be saying; "I plan to attend all of these wonderful events, Nicholas, but what about new goggles, badges, medals, etcetera?" To that end, my friends, I assure you that the Armory has not rested on it's laurels. In fact, as each show approaches I will post and detail all the new pieces you can expect to see at the venue. For now though, patience. The good things come to those who wait. Shiny Brass, Antique Bronze, Hammered brass, Hammered Silver, Oil-Rubbed Bronze, Copper. Because each pair of goggles are hand-made, no two head straps are alike. However, we can still take pains to keep a theme or style. If you have an appropriate belt that you'd like to use in the production of your goggles. Providing your own belt will discount your order by $10.00. Give your goggles some personality and history with themed charms or jewelry. Selection varies due to demand. Custom Charms add $7.00 to the order. Or provide your own at no additional charge. Cash or Check only at this time. Production will begin when minimum payment is received. Workmanship & Materials Guarantee: We stand behind the quality and durability of every pair of goggles we fabricate. Should your goggles be damaged by normal wear-and-tear, by accident, or by any unforeseen defect, we offer no-cost repair of your goggles for one year from the original date of purchase. *Excludes your own charms. Durability of your own materials cannot be guaranteed by the fabricator. Goggles are nor rated as protective eyewear. Use at your own risk. Returns Policy: If, for any reason, you're not completely satisfied with your goggles, you can return them for a refund within 30 days of receiving your purchase. $25.00 minimum deposit and shipping charges are non-refundable. Goggles must be returned in order to receive monetary refund. Canceling an Order: If you have placed an order for goggles, but need to cancel for any reason, you can do so at any time, but please note the the $25.00 minimum deposit is non-refundable. (Any additional money put down up front will be returned.) If you choose to cancel or return an order and you have supplied any of your own materials, there is no guarantee that the materials can be returned to you, as the condition of the materials may have already been permanently altered by the production process. We do make every reasonable attempt to return to you any unaltered materials, however we cannot replace, repair, or offer compensation in any form for materials that have already been used. You should know that the backstories for these goggles are purely fictional. Any historical significance is made-up for the fun of it. Unless otherwise stated with the words 'Seriously, you guys' placed in front of it. A Steampunk enthusiast turned craftsman.